Salvatore Ferragamo is the producers, creators and retailers of luxury goods for men and women. The company provides with a wide range of products such as leather goods comprising wallets, handbags, suitcases, and other leather accessories, leather and fabric garments, knitwear, clothes for formal occasions, and watches perfumes, including fragrances and body care products under the Salvatore Ferragamo and Emanuel Ungaro brands, silk accessories, ties, scarves and eyewear, and footwear. The company was founded in the year 1927 and has its headquarters in Florence, Italy. The multinational company operates in United States, Canada, Asia, Europe, Korea, and Latin America. 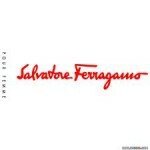 There are currently 0 consumer reviews about Salvatore Ferragamo available. Share your review. Please take a note that you are about to post a public review about Salvatore Ferragamo corporate office on CorporateOffice.com. This review will be public, so please do not post any of your personal information on this website. If you would like to contact the corporate offices of Salvatore Ferragamo, please use their contact information such as their phone number, website, and address listed above to contact them. However, sometimes staff from Salvatore Ferragamo headquarters do read the reviews on this website.